Beartooth Pass is a must when visiting Red Lodge, Montana. Here are a few tips on making the trip. Want to feel on “Top of the World?” Then make sure you drive across the amazing Beartooth Pass in the Absaroka-Beartooth mountains. Named for a jagged mountain peak's likeness to a bear's tooth, this amazing alpine connector, part of the 65-mile Beartooth Highway, serves as a major attraction on the way to Yellowstone National Park's Northeast Entrance. 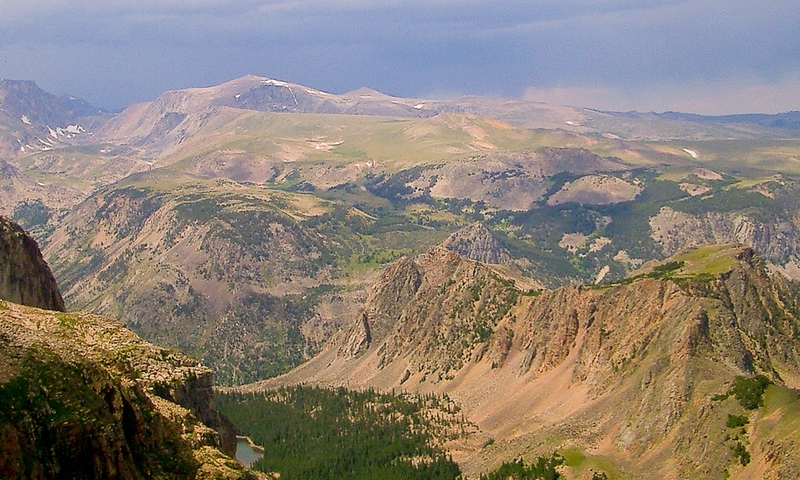 Completed in 1936, Beartooth Highway climbs switchbacks through Custer, Gallatin, and Shoshone National Forests, connecting gateway Montana communities of Cooke City and Red Lodge as well as Cody, Wyoming. About 25 miles from Red Lodge, drivers are eye-level with wispy clouds at the highest point of Beartooth Pass, just shy of 11,000 feet! Beartooth Highway still holds the distinction of being the highest elevation highway in the Northern Rocky Mountains. Photographers love Beartooth Highway and Pass. It's really difficult to take a “bad” picture. There are several pullouts along the route offering incredible views of Beartooth, Hell Roaring and Silver Run Plateaus, as well as Glacier Lake. Lucky sightseers might catch a glimpse of a grizzly or a black bear searching for huckleberries – from a healthy distance, hopefully! Continuing West over Beartooth Pass and on to Colter Pass and Cooke City, visitors will see a variety of mountain lakes and perhaps a few fishermen angling for Cutthroat, Rainbow and Brook Trout. Huffing and puffing hikers and bicyclists also exert themselves along Beartooth Highway and Pass along the sheer rock and alpine tundra. Motorcyclists often take this popular route to Yellowstone Park via Cooke City. Ah, Cooke City. When I last crossed “Na Piet Say,” meaning “the bear's tooth” as the Crow Indians refer to Beartooth Pass, and reached the quaint old mining town of Cooke City, it was nearly buried in snow! Luckily, snowplows were able to push much the snow to the roadside, allowing vehicles to pass through white corridors more than 20 feet high! Beartooth Pass is usually accessible in late May/early June and closes for the Winter around September. Cross-country skiers and snowmobilers can still take advantage of all the snow, however. Nearby US Highway 296 is usually open until November for those driving between Red Lodge and Cooke City. For more information on weather and road conditions on Beartooth Highway/US 212, contact either the Montana or Wyoming Department of Transportation. Check the local Weather and Road Conditions. Find Lodging in Red Lodge.